My favorite holiday is NEXT WEEK! Whoo hoo! Want an easy DIY to gear up for the red, white & blue? Okay. Grab doubled sided seam-binding like this, a sewing machine (or if you’re old school, a needle and thread…. or if you’re new school, a glue gun) and sew the remnant flags into fold of the binding. Simple, simple. If you’re short on boys to help ruin your perfectly good flags, I’ve got two that are up for grabs over here! And if sewing isn’t your thing, you can always download this FREE ready made printable bunting from last year! Hope everyone has a wonderful 4th of July! 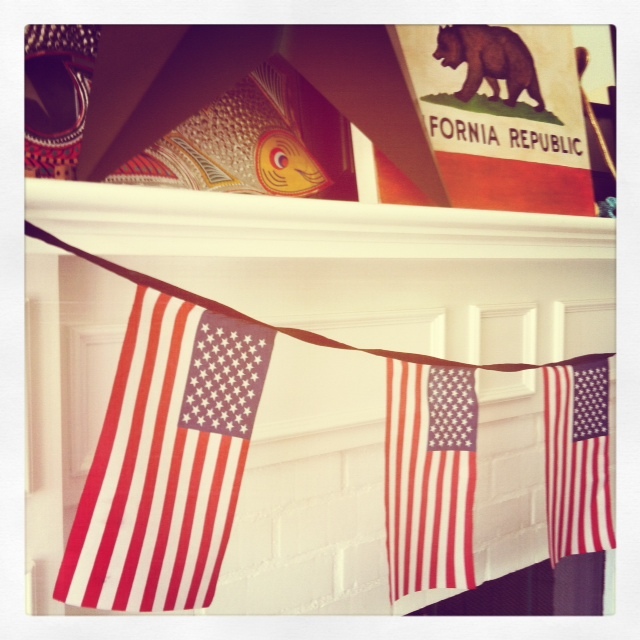 This entry was posted in free and awesome, holiday, holidays and tagged 4th of july decorating, DIY Fourth of July bunting, fourth of july printable banner, fourth of july printable bunting free, free 4th of july printable by Annika. Bookmark the permalink.